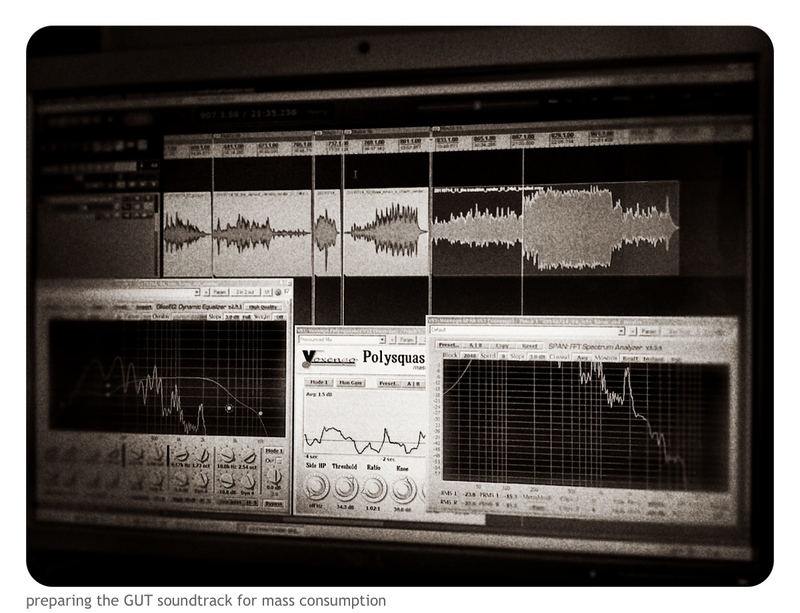 Preparing the GUT soundtrack. - .chvad. Despite the music having been finished for GUT for some time, I’ve been sitting on the release until GUT could get released because really, who wants a soundtrack for a movie they haven’t seen? That being said, GUT is in theaters this October so the soundtrack shall follow! Spending most of the weekend making some minor adjustments and mastering the tracks for the release. September 30th, 2012 | Category: .moments.